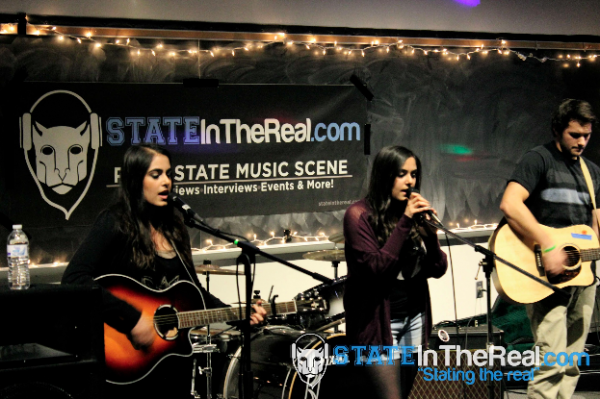 Before break, State in the Real and Song Writers’ Club joined forces to put on a concert benefiting THON! Tickets were sold to the public, with half of the proceeds going to the buyer’s THON organization of choice, and the other half going to Song Writers’ Club for THON. 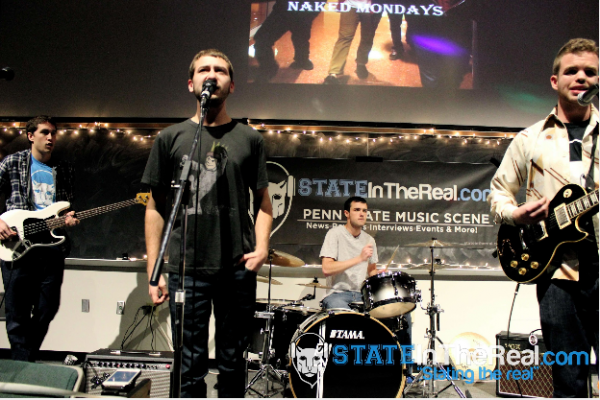 The event featured local bands Fairweather Pilots, Naked Mondays, LullaNAs, Port Vue, and Keegan Tawa. The event was held in 101 Thomas, a surprisingly cozy, yet cool venue after Christmas lights, tapestries, and a strobe light were hung up throughout the room. Videos from previous THONs and the bands’ histories were played on the huge screen, creating a theater-like experience. The classroom was truly transformed into a perfect little getaway. Fairweather Pilots started the show with a bang. This was most certainly one of the best performances we have seen out of them yet. They always capture the attention of the crowd with their catchy originals and this show was no different. Miss Olivia Price with her soaring vocals and Ryan Fox with is spectacular guitar skills, they sure know how to duet. This was most certainly one of the best performances we have seen out of them yet and cant wait to hear more. Then Naked Mondays took the stage doing covers of songs, including “Float On” by Modest Mouse, an obvious crowd favorite, and some originals as well, including “Dead Set.” The witty boys chatted with the crowd during song breaks, and joked around with each other, emanating good vibes and obviously having as great a time as the crowd. 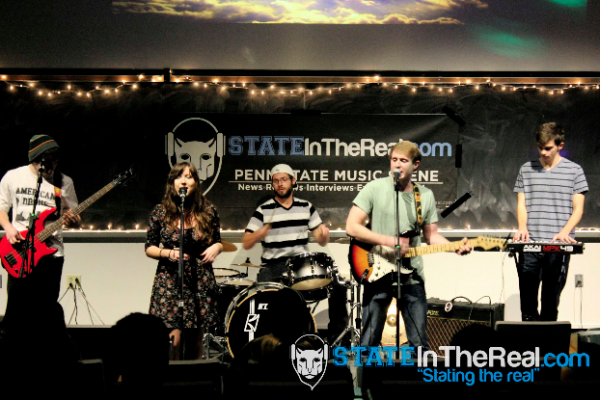 Afterwards, Port Vue kicked it up a notch, rocking the room for the first time in State College since their EP “All Your Wishes” debuted about a month ago. The band showcased their freshly released tracks, “Show Me The Way”, “Shine On You” and “What You Wish For” as well as several well executed covers. Port Vue’s energy was contagious as they interacted with the crowd and one fan even threw their hat onto the stage at guitarist Ben Sudie. 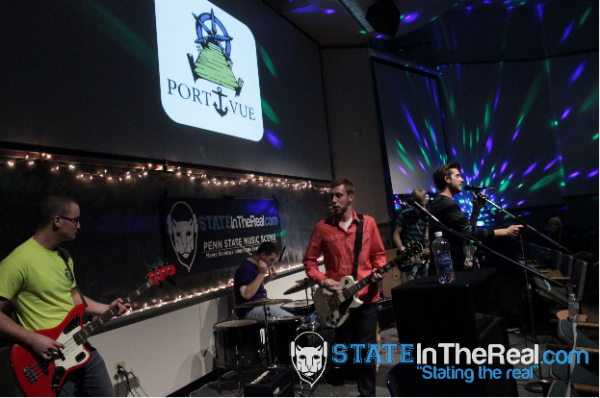 Port Vue ended their set with an extremely impressive rendition of “Comfortably Numb” by Pink Floyd. For the grand finale, Keegan Tawa set up his dj stand and saxophone and shook the walls with awesome edm that got everyone on their feet and into the isles dancing for his entire set. 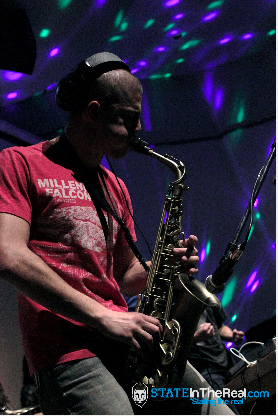 When he took to the sax, people took it to a new level, dancing up on tables, chairs, and all over the room. The disco lights from the strobe made the lecture hall feel like an actual show in a big venue. He ended the set, and the show, around 11, completing an awesome night For The Kids. 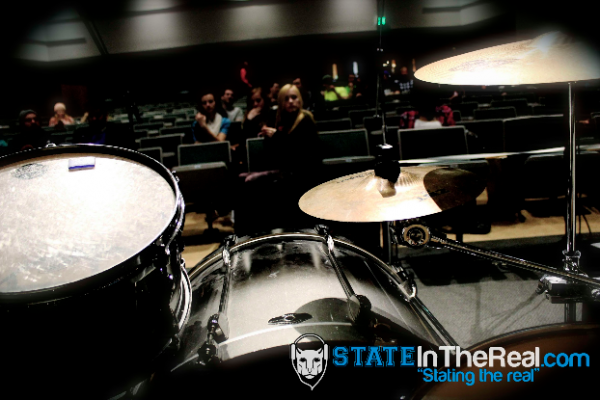 All in all, the event was a huge success, pulling in a great deal of money for the Four Diamonds Fund for THON, and it gave local bands a chance to shine and show us what kind of extraordinary talent dwells on campus and in the most common of classrooms. Hopefully we will see another event in the spring, which will undoubtedly be just as much fun!